3M will be demonstrating how 3M Science can be applied to key issues currently facing the rail industry. Increased Productivity: From abrasives to paint shop solutions, 3M solutions help make rolling stock manufacturing, maintenance and refurbishment processes faster,cleaner and ultimately, more cost- effective. Improved Energy Efficiency: Our industrial tapes and adhesives remove the need for heavy mechanical fixings, while our solar window films help to reduce heat gain and energy costs. Prolonged Asset Life: From infrastructure, including bridges, stations and gantries, to rolling stock and its components, 3MTM ScotchkoteTM liquid coatings provide long-lasting corrosion protection and finishing, while also helping to minimise downtime. Enhanced Passenger Experience: Vinyl films and anti-graffiti solutions keep trains looking smart, while our noise insulation technologies make journeys quieter. 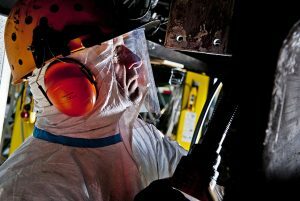 Protected Worker Safety: Our range of comfortable, carefully designed personal protective equipment (PPE) offers the most effective protection available, with products that workers feel good about wearing. Advance Training & Recruitment Services is a niche recruitment consultancy specialising in the provision of highly skilled technical professionals. Established in 2011 by 20-year expert recruiter, Andy Ridout, Advance provides permanent, contract and temporary recruitment solutions to both candidates and clients across a number of key technical sectors. Working with some of the biggest names in engineering on some of Europe’s most exciting infrastructure projects, Advance- TRS is proud to be a preferred supplier to more than 100 blue chip engineering and construction clients. Outstanding service has helped the company achieve a 99 per cent preferred supplier retention rate, meaning clients choose to come back time and time again. Specialist consultants work within designated teams, utilising expert knowledge of their sector to tap into a rich network of passive and active candidates. Their expertise provides them with the capability to truly understand client’s requirements and provide bespoke recruitment solutions to match. Anderton Concrete comes to Railtex 2017 with exciting products from a substantial portfolio. With cable theft being both highly dangerous and costing thousands of delayed minutes each year, Anderton offers two pioneering deterrents – Ander-Loc and Ander-Fin. 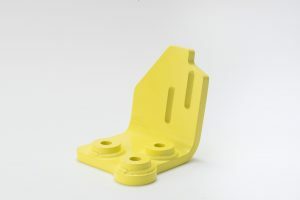 Ander-Loc is designed to prevent the unauthorised removal of trough lids by securing each lid to the trough, while Ander-Fin utilises a pre-formed slot in the base of the troughing unit from which cable ties/clips can be attached and secured making quick removal of large lengths of cable virtually impossible. The Anderton stand will feature Ander-Lift, an ingenious tool for fast, efficient and safe handling of troughing, and the Easi-lift trough lid, which makes finger trapping during installation a thing of the past. 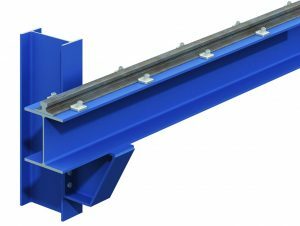 There is also a new cost-effective, lightweight 700mm-wide combined walkway and trough unit that incorporates dual compartments to segregate cables and is compatible with Anderton’s range of route security products. 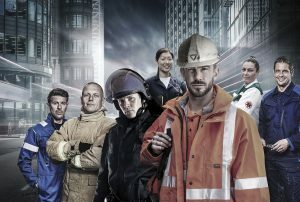 Arco is the UK’s leading safety company, distributing a world- class range of 170,000+ branded and own brand products, including PPE, clothing, footwear and gloves, and offering training and expert advice. The company has recently invested £1 million in its own ProductAssurance Laboratory to ensure that all products it supplies are high quality, reliable and safe. At Railtex, Arco will be showcasing its award-winning women’s hi-vis hazardwear garments. Working closely with women within the industry, Arco has designed a range to fit a woman’s body shape, whilst delivering a high level of protection to keep them safe at work. The Arco EDGE 5000 vending solution is a rugged and versatile automated dispenser which manages PPE and other indirect consumables usage at the point- of-work. RISQS accredited, Total Access will be focusing on its Confined Space Supervision and Rescue, Rope Access Maintenance and CCTV Examination Services for Underground Asset Inspections. 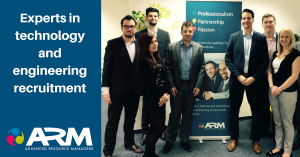 ARM – Advance Resource Managers – has built a very strong reputation in the rail market, based around the delivery of some highly successful packages of work, often sourcing candidates with a very niche set of skills. 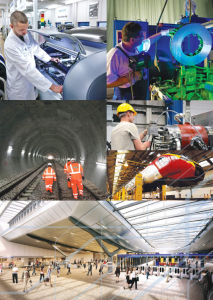 Proud to work with a broad range of businesses across a number of sub-sectors within the rail industry, ARM supplies talented professionals to customers who work in multiple disciplines, including electrification and power, permanent way, signalling and telecommunications, rolling stock, rail stations and property. The company has delivered complex assignments for some of the industry’s leading specialist companies including client organisations, design consultancies, cost engineers and contractors. Experts in supplying people across all areas of the rail project lifecycle, ARM’s award-winning and industry-recognised team of consultants specialises in recruiting rail professionals, including: project managers/directors, commercial managers and quantity surveyors, cost engineers and estimators, design managers and design verifiers. Advance Resource Managers has a track record of delivering high quality talent. Bakerail Services offers clients specialist and dedicated support in the field of railway infrastructure systems engineering and railway site management. We specialise in projects where the highest levels of safety, reliability and delivery to project timescales are key deliverables. 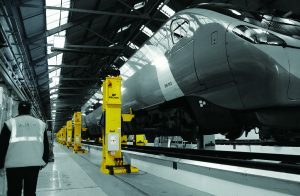 Our key focuses are on the operational management of wheel/ rail interface with active involvement supporting specialist engineers from the UK and abroad in this field of work, including: Provision of UK rail milling services – active development and introduction into the UK of the European SF02 Rail Milling machine for rail profiling modification and management. 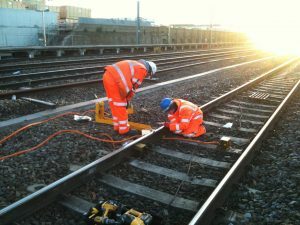 Acoustic monitoring – installation of specialist trial systems throughout the UK, giving support to manufacturing companies, Network Rail and train operating companies. MiniProf digital wheel, rail and brake measurement systems – sole UK agents for Greenwood Engineering’s MiniProf instrument, used for the management, quality control, maintenance and wear prediction of wheels, rail and brakes. 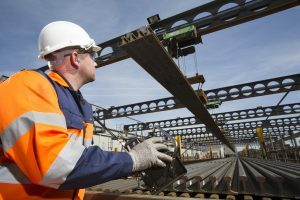 British Steel will be unveiling its new brand to the UK rail industry for the first time on stand R54, where the company will be showcasing its range of premium steel products designed to meet the needs of the 24/7 railway industry. 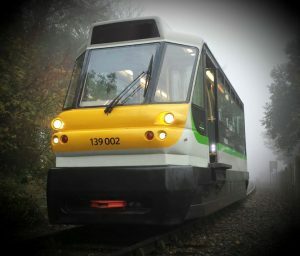 As official On-track sponsor, British Steel will be demonstrating some of its award-winning products: HP335, designed for improved wear and RCF resistance; Zinoco®, the most durable system available to combat rail corrosion and the SilentTrack® tuned rail damper system to help reduce pass-by noise by 3-6dB(A). British Steel’s Rail Technologies team will be carrying out some track monitoring activities on Railtex’s own track, so feel free to ask the team about the latest developments in track condition assessment. British Steel doesn’t only make rail. 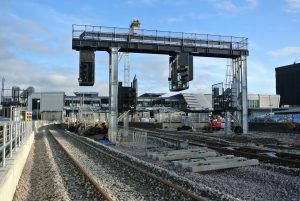 The Construction team will also be at Railtex, promoting its range of premium structural sections designed to enhance additional railway requirements, from bridges to gantries and stations. CPM’s Redi-RockTM modular concrete walling is ideal for protecting the rail line against erosion, landslips and rock falls, as the big block solution is both quick and easy to install when there is limited ‘track time’ available. With less disruption to services through quick and economical installation in any weather, the Redi-Rock blocks have the look of natural stone and are available in three different faces, (Cobblestone, Ledgestone and Limestone) so can blend in with the natural environment and are versatile enough to achieve height without compromising strength. 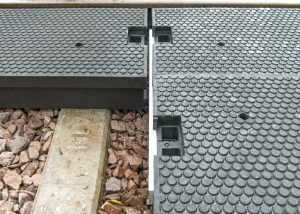 Each modular block weighs approximately one tonne and is dry laid, so walls can be built in a fraction of the time and costs compared to other methods, a real benefit when closing the rail network for trackside maintenance and improvements. 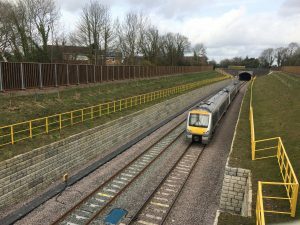 With its strength and earth retaining capabilities Redi-Rock modular walling keeps both the train and track safe whilst offering a pleasing appearance. Findlay Irvine has, for over thirty years, been synonymous with excellence in switch heating controllers and rail condition monitoring. 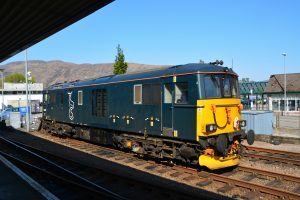 Having supplied over 5,000 data loggers for monitoring signalling assets, the Edinburgh- based company turned its innovative expertise to providing a wireless interface for the HPSS Switch Mean which allows engineers’ to view and analyse the performance of the switch. The success of this project has now led to a national roll out throughout the UK network. As well as this, Findlay Irvine has recently received approval for its new device that monitors rail temperature and critical rail temperature applications. These innovatively engineered solutions offer rail engineers a final solution which could cut delays and improve efficiency in term contract maintenance across the network. 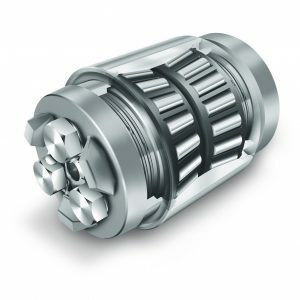 Findlay Irvine continues to develop and enhance its product range and look for new applications and avenues for its technology and capabilities. Visitors to stand L84 will be able to see the results for themselves. 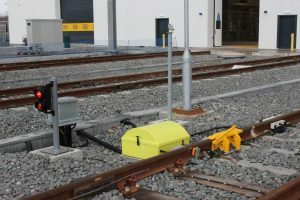 Frauscher Tracking Solutions FTS, the company’s latest innovation, is based on Distributed Acoustic Sensing (DAS) and can be used for train tracking, asset condition monitoring and security applications. It is possible to track passing trains, flat wheels, broken rails, cable theft, vandalism by detecting footsteps and various activities, rock falls, animal herds and more, all in real-time. At Railtex, visitors to the Frauscher stand can find out how this and other Frauscher products can provide valuable information for their applications. Experts will be on hand to discuss proven components and systems and introduce visitors to innovative new solutions. Additionally, Frauscher will present intelligent functions to increase its axle counters availability, such as Supervisor Track Sections STS and Counting Head Control CHC. Frauscher Sensor Technology has always worked to generate more information with less effort. Now, with its best-in-class wheel detection systems, axle counters and tracking solutions, Frauscher helps modern railways solve tomorrow’s problems today. 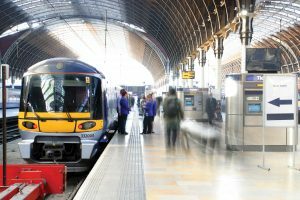 Harting, long established as a major supplier of connectivity and networking solutions for transport applications, is featuring new diversified systems in the fields of radio-frequency identification (RFID) and industrial computing for rail applications. MICA (Modular Industry Computer Architecture) is being demonstrated with an RFID reading system for both platform and train-mounted applications. It is an open-architecture industrial computer system, designed for harsh railway environments, that is extremely compact, robust and virtually maintenance-free. An RFID system implemented with MICA at its heart offers a variety of solutions for applications such as platform-side detection, driver authentication and wheel-rim lubrication monitoring. With the possibility to retrofit existing systems with minimal cost and time requirements, MICA is a game changer for the rail industry. Harting is also featuring its expertise in rail connectivity systems, including Ethernet backbone communications using the Han® Modular range of heavy- duty industrial connectors, rugged unmanaged Ethernet switches and M12 circular connectors. Hepworth Rail is the world’s leading supplier of rail windscreen wiper equipment and control systems, and also offers a total service in custom-made fabrications in a wide range of metals and forms. Accredited to standards that include IRIS 2, ISO 9001 and EN15085, Hepworth maintains the highest levels of quality throughout the business, manufacturing everything from heavy-duty, safety- critical bracketry to cable trays. New machining equipment enables manufacture of a large variety of fabricated components, for both vehicles and trackside equipment. Client portals are used to schedule production/delivery requirements, with daily or weekly scheduled deliveries giving flexibility when responding to emergency supply issues. CNC production facilities link with CAD/CAM packages, supported by highly skilled metal finishing operatives and welders. Fully trained in 3D SolidWorks, 2D AutoCAD, design analysis and specialist simulation packages, Hepworth’s design team work closely with their clients, suggesting ideas to reduce costs by simplifying the manufacturing process. Korec specialises in the provision of rail solutions to optimise the rail lifecycle from feasibility through design, construction and safety and maintenance. These solutions enable users to quickly and accurately capture the data needed to provide clients with actionable deliverables to maintain and construct railway infrastructure or to manage rail transport assets. Among the equipment on show will be the Trimble Gedo Track Measuring Device (TMD). This flexible, lightweight highly accurate and user-friendly system can be used for a variety of applications including precise direct-fix and slab track setting- out and fast and accurate 3D track geometry measurement at up to 2,500 metres per hour. Two significant innovations will also be present at this year’s event. The fantastic new Trimble SX10 offers a true 3D Laser Scanner combined with a Total Station, while Trimble’s new Catalyst GNSS system democratises accurate positioning and will find a huge number of applications in the rail industry. Kwik-Step – U51 Kwik-Step has introduced a range of robust FRP platforms in addition to its modular stairways. The platforms include refuges, lookout posts and walkways. Kwik-Step stairways are an ideal choice for access to the line-side but, if the location lacks a place of safety due to degraded embankments, minimal cess or poor visibility, a platform can be installed to provide a quick and cost-effective solution. All platforms are supplied flat-packed from stock and all share the same modular design including a range of leg options to suit different gradients and ground conditions. The platforms and stairways can generally be installed with minimal groundwork within a single shift. 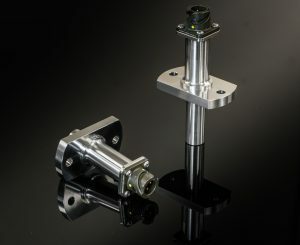 Lindadpter International – Q51 Lindapter, established in 1934, is a global market leader in the design, innovation and manufacture of clamping solutions that provide a faster alternative to drilling or welding and therefore save contractors’ time and money. 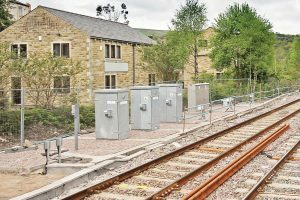 At Railtex, Lindapter will demonstrate its product capabilities in a range of connection applications including overhead line equipment, station buildings, station fittings, facades, depots, low speed rails, rail bridges, access walkways and structural reinforcement. Lindapter’s specification engineers will be on the stand to answer questions and launch the new Type HD brochure specifically for engineers and specifiers working in the rail industry. 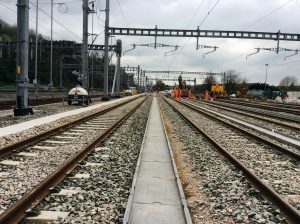 The document highlights how the range of Type HD rail clamps provides a quick way to align and secure rails, providing a strong, reliable and long-lasting connection. Visit stand Q51 to pick up your copy of the new Type HD booklet. Lindapter’s rail brochure will also be available which includes a list of Network Rail-approved products. Panduit enables developers to organise, connect and protect electrical systems with confidence. Panduit delivers solutions including a broad selection of wire harness, heavy-duty cable management and control panel solutions that help customers meet design, quality and regulatory requirements in a timely and cost- effective way. With automated tooling, technical support, and worldwide availability of quality products, Panduit is a single- source partner to rail operators and contractors worldwide. The Quick-BuildTM Harness Board System is a revolutionary modular, expandable solution consisting of reusable grid tiles with specially shaped holes that accept repositionable accessories to improve the productivity of wire harness build time by up to 18 per cent compared to plywood board and nail method. 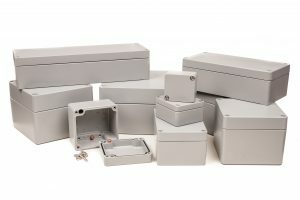 Savings of up to 65 per cent can be achieved with more than 50 per cent in storage space savings. The Quick-BuildTM System elevates harness routing above the grid tiles, allowing wire harness manufacturers to use Panduit Automatic Cable Tie Installation Tool (PAT), which is six times faster than conventional cable tie installation systems, further improving productivity. Safetrack’s patented pin-brazing method, Econect©, fastens electrical connectors to steel constructions, such as rails, without the need for drilling holes. It is ideal for connecting signal bonds, rail bonds, power and return bonds and for grounding cables. The bonds take only seconds to apply, in any weather, and are robust enough to stand the everyday rigors of an operational railway environment. 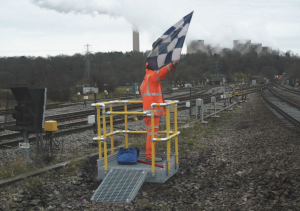 Reduced time on site not only makes this method very cost effective, it also minimises the risk to operators from being trackside. A special brazing pin with a silver solder (melting temperature is less than 700°C/1300°F) melts down in the cable lugs hole and creates a brazed Silver Connection© between the cable wires and the piece of steel, which provides an extremely low transition resistance. Econect’s revolutionary Li-ion Nano technology battery enables each unit to apply 50 brazings from a single charge and has resulted in a highly portable unit weighing less than 10kg. PSV Wipers has served the rail industry for many years. 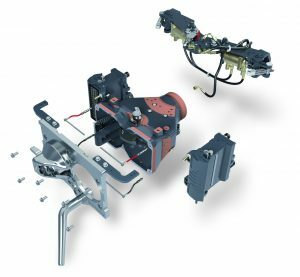 Known for outstanding design and performance, its OEM and Depot supplied equipment is complimented by proven pneumatic to electric conversion kits, designed and manufactured at the company’s West Midlands facility. Stand M60 will be displaying wiper blades/arms/motor assemblies and switchgear. Rail Media is proud to be media partner for Railtex once again. A long and close relationship sees Rail Engineer organising and presenting the keynote and industry presentations in the Seminar Theatre while RailwayPeople.com powers the Recruitment Wall, where exhibitors can advertise their latest jobs for the duration of the show. The main thrust of the Rail Media stand will be to promote the RailSport Games. 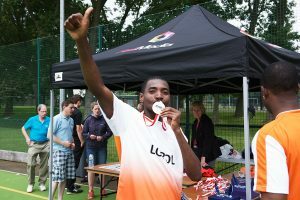 Moved to Loughborough University this year, home of Team GB for the 2012 Olympics, 15 different sports will be contested by individuals and teams from across the rail industry over one weekend in July. 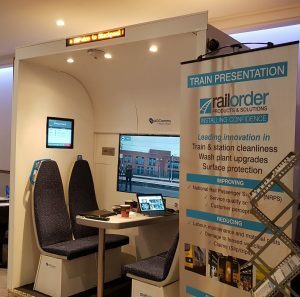 Visitors will also be able to speak directly with the editorial teams from RailStaff and Rail Engineer, and also meet the organisers of the popular Rail Summits and Rail Exec Club. This year’s RailStaff Awards will bring 1,000 people to Coventry in October for the industry’s biggest awards evening and party. Have you nominated anyone yet? 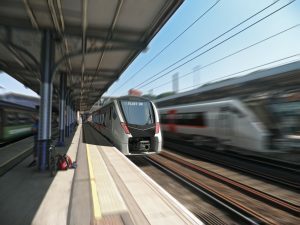 The Rail Supply Group, working in partnership with the Department for Transport and the Department for Business, Energy and Industrial Strategy, is a joint initiative between Government and industry to strengthen the capability and competitiveness of the UK rail supply chain to grow business at home and abroad. Its sector strategy sets out our long-term commitment to increase manufacturing and innovation capability to support UK economic growth. 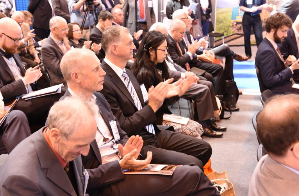 At Railtex, the Rail Supply Group will be in inviting Railtex delegates to share their views on how the rail industry can create more jobs, export more and support the economy with a series of drop-in sessions with leading Government officials. Let Government know how your business could grow, export more and innovate in a one-to-one sessions with officials. The Recruitment Wall, powered by a live feed from RailwayPeople. com, forms an area publicising details of exhibitors’ job opportunities, aiming to match those with the skills of visitors seeking career development. Exhibitors are encouraged to display up to five vacancies free of charge. 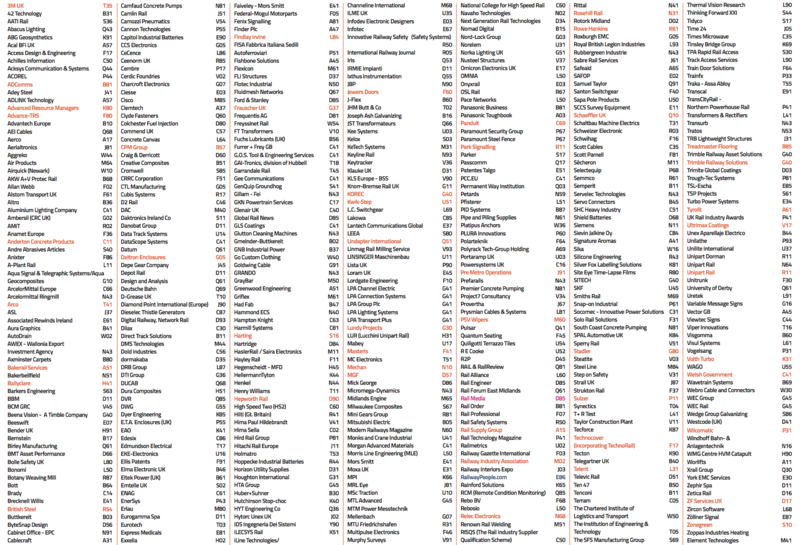 With in the region of 450 exhibitors at the show, that adds up to a lot of jobs! Staff will be on hand to work with both employers seeking staff and show visitors looking to expand their horizons. School leavers, apprentices, graduates and experienced railway staff can all drop in to see what’s on offer, while any company in the industry can also enquire about the best ways to recruit. 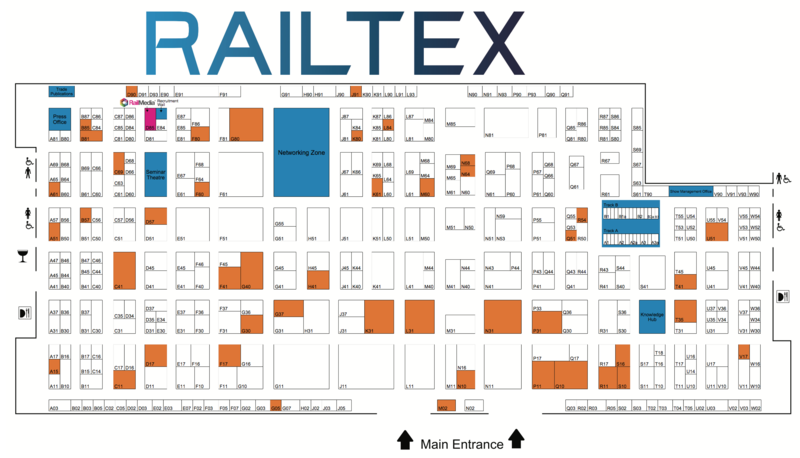 This is a great opportunity for Railtex exhibitors to take the plunge without incurring cost, and for everyone to consider new opportunities. What do you have to lose? Located on stand X00 in the main hall at Railtex, the Recruitment Wall is available throughout the exhibition. Stadler has been manufacturing cutting edge rolling stock for the last 75 years. From a small family firm in Bussnang, Switzerland, it now has over 7,000 employees in over 30 countries, providing innovative solutions to meet unique challenges rather than relying on off-the-peg products. It’s this expertise which Stadler is bringing to the UK. Stadler has just secured an agreement with Merseytravel worth up to £700 million to build and maintain 52 metro trains. In addition, a £610 million deal with Greater Anglia will see Stadler deliver 58 FLIRT electric and bi- mode multiple units. Its Class 68 – the most powerful production diesel locomotive to run in the UK – is already transforming passenger and freight services across the country, while its Class 88 electro-diesel will soon be in operation as a ‘true’ dual-mode loco. Stadler will also supply 17 underground trains to Glasgow Subway’s unusual specifications and is delivering the UK’s first tram- trains to Sheffield. Sulzer, a turnkey rotating equipment service supplier to the rail industry, will be highlighting its wide ranging expertise. Highly regarded due to maintenance experience of rotating equipment spanning over 150 years, show attendees will have an opportunity to discover how Sulzer quality greatly extends component service life in rail applications. In a sector where reliability and the preservation of schedules are paramount, Sulzer offers the responsiveness and quality of service to ensure the utmost performance of equipment. During the exhibition, Sulzer will highlight its wide range of support for traction motors and armatures, traction coils, commutators, impellers, fans, auxiliary motors and bogie modules with some exemplified in a range of models and stand themes. Equally adept in servicing electrical or mechanical equipment, Sulzer can offer maintenance, design and testing services from a number of key 24-hour service centres, operating around the clock to ensure short lead times and maximum uptime for end users and their rolling stock. Technocover, incorporating TechnoRail, has been designing and manufacturing innovative steel access products since 1993. In that time, the company has gained a reputation as the UK’s leading supplier of third-party accredited physical security galvanised steel access solutions for asset protection. 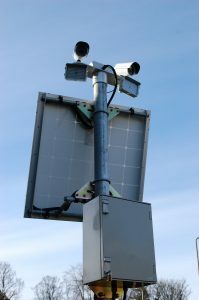 Working for almost every type of industry in the public and private sectors, Technocover engineers a unique range of accredited security products to meet the latest asset security standards. The adaptability of steel products means the most complex design criteria can be met. Technocover has the widest range of accredited LPCB (Loss Prevention Certification Board) tested and certified high-security galvanised steel access products. This provides clients with the confidence that the products and services provided are assured by third party accreditation. For above ground, below ground and building hardening, new build or retrofit, Technocover has unmatched design, production and installation capabilities to deliver right-first- time, lowest total cost security solutions answering every physical protection challenge, to any scale. Telent, the managed services and whole life asset management specialist, will be showing its station management system, MICA, at Railtex, including new features that have been added for Bank and London Bridge stations, the integration of congestion management as implemented at Clapham Junction, and new media management features to keep passengers informed on travel and station movement. 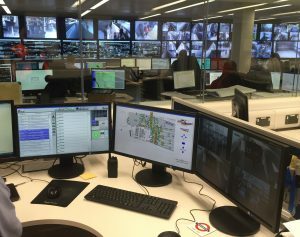 Acumen, the remote condition monitoring platform, implemented with London Underground, will be on show, and will include a new analytics module which monitors a large number of cameras over low bandwidth links. This year, Telent will also be focusing on its partnerships. Some are well-established, such as with Cisco and Juniper, while others are new – Telent is the deployment partner for Exterion Media’s advertising technology for TfL. Then there is cutting-edge technology – Voltserver offers true innovation in the provision of power for electronic equipment using ‘digital electricity’, which will be powering much of the equipment on the stand. Treadmaster, the transport flooring specialist, has been supplying the transit industry since 1951. Today, the product meets the highest ratings of fire standards for Rail including BS6853 Cat 1a and the new European standard EN45545-2 HL3. 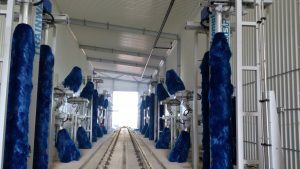 The products are also incredibly durable and hard wearing, slip resistant and easy to clean, which means operators can benefit from industry leading life cycle costs. In-house capabilities include colour matching to RAL, Pantone and NCS colour references, customisation of flooring to rail car drawing dimensions (minimising cutting and wastage) and machining of bespoke designs/patterns. Treadmaster has a proven pedigree in providing the highest fire retardant flooring for the rail sector and particularly for metro rolling stock. It is the incumbent flooring supplier to London Underground and is working on a number of projects for TfL including the new Elizabeth line trains. 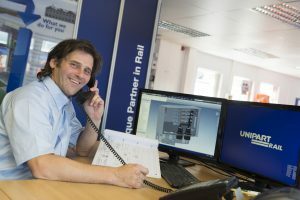 Having exhibited at Railtex since 2011, Treadmaster uses the show as a focal point for its UK customers. Ultrimax Coatings are the number one choice for paint shop supplies, consumables, and spray equipment for the rail industry. The wear and tear on railway rolling stock is surely greater than that of any other mode of transport. 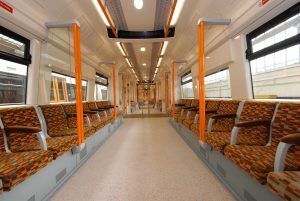 With interiors exposed to thousands of passengers every day and exteriors battered by the elements, dust and debris, the finish applied by rolling stock manufacturers and refurbishers must not only look great but it must be resilient too. Floor protection and painted surface protection are essential components of the rolling stock paint shop specialist’s tool kit. 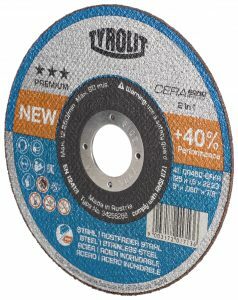 Key attributes include resilience to knocks, abrasions, tears and punctures, ease of application and removal, anti-slip properties and, in some instances, flame retardant qualities. 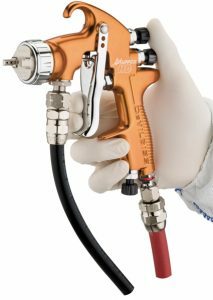 The comprehensive Ultrimax Coatings range includes abrasives, PPE, masking and protection material, spray guns and pumps. Established in 1973, the company has over 40 years of experience in advising and supplying the trade. Unipart Rail’s stand will feature everything from power supply technologies through to Instrumentel vehicle door monitoring. Innovative solutions now cover the provision of power control from the National Grid through to the Unipart Dorman LED signalling which controls vehicle movements on both heavy and light rail. And, with clever SSI monitoring from Park Signalling, there are now more solutions than ever. Problems with relays can cause serious problems in the interlocking. With Sparta, Unipart’s portable testing solution, relays can be tested out before they are installed and is now a straightforward activity, ensuring that risks are not imported into the SSI. Voith components and systems for rail vehicles provide efficiencies at higher speeds, more comfort coupled with maximum reliability. The company’s core product range includes couplers, vehicle front ends, complete driveline technology and cooling systems. Voith can deliver, from a single source, the customer’s requirements from design and manufacture through to complete integration. Train manufacturers and operators will benefit from Voith’s knowledge and long-term experience in developing and producing key components. The Welsh Government is taking a prominent space with eight Welsh companies exhibiting. These leading Welsh companies demonstrate how their creativity and originality is making an impact internationally. Mold-based coatings specialists GLS Coatings is again exhibiting following a substantial success at the last Railtex which brought in a six-figure sum business for the company. George Green, general manager of GLS Coatings, said: “We had launched our trademarked GLS 100R which electrically insulates up to 35,000 volts. 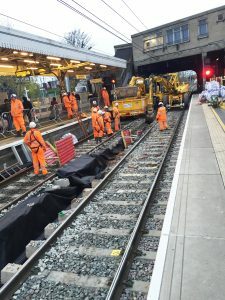 It is used throughout the UK rail network to prevent bird-strikes shorting the overhead line and to eliminate ‘touch-potential’ issues with signalling location cases for Network Rail. 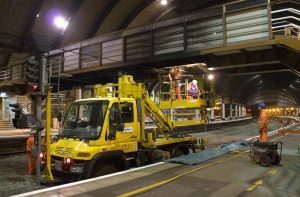 “We were kept exceptionally busy answering technical enquiries and we showed a specially commissioned video of our technicians at work coating the footbridge at York Station. That work was carried out in December 2014 and there have been no line trips since then.” Since Railtex 2015, GLS Coatings Ltd has also used the GLS 100R product to apply anti-slip flooring to terrazzo tiles at some of the UK’s major railway stations and footbridges. Terry Gee, who co-owns Cardiff- based rail security, electrical and telecoms company Gee Communications with his brother Chris, said: “We want to promote Gee Communications foremost as a Welsh company, uniquely positioned to provide a service to anyone with an interest in investing in Wales and procuring our services.” At Railtex, Terry and his team will have the chance to meet suppliers, manufacturers, competitors, governing bodies and clients face- to-face. 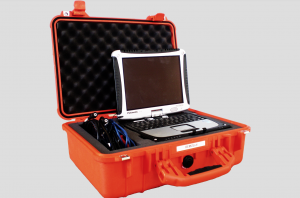 Broughton-based DataScope develops fatigue management solutions for the rail industry. Sales and marketing manager Rod Jones said: “We recently launched a range of multi-platform apps which proactively manage fatigue, ensuring that rail operatives are kept safe. We know that our system is unique in the world – and that it can save lives. Operatives can also manage close calls and be safe in the knowledge that there’s an audit trail in place to manage such risks. 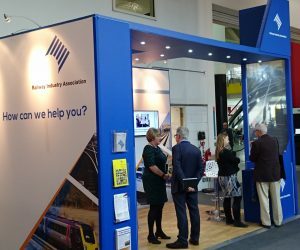 “The system is already used widely by Network Rail together, with a number of the principal contractors working on rail and highways projects, but we’re keen to further our exposure within the global rail industry at Railtex.” The full list of Welsh companies attending Railtex is: ALC, Morgan Advanced Engineering, GLS, Datascope Systems, PCC, GOS, Furrer and Frey, and Gee Communications. Wilcomatic Rail Division will showcase its comprehensive range of depot equipment, including CET (controlled emission toilets) water replenishing, refuelling, AdBlue and screen wash systems. This is to run alongside its worldwide and established range of specialist wash equipment for trains, trams and monorails. The strategy of Wilcomatic Rail Division is to select key turnkey providers of rail systems and work with them to provide tailor-made systems throughout the world. 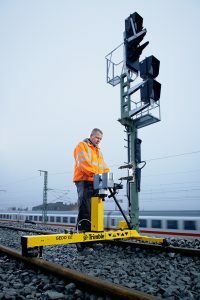 One example is the Vogelsang CET system which, with its many unique features, is already one of the most highly rated and reliable products found in railway depots in mainland Europe. Wilcomatic is the official UK distributor. The company also supplies large multi-station complex fuelling delivery systems with large storage tanks, ensuring high speed servicing turnaround times. 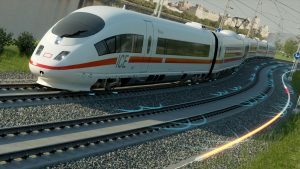 As well as this new range of products, Wilcomatic Rail Division will be featuring its specialist wash equipment for rail, trams, monorails and APM (automatic passenger movers) systems for airports. ZF Aftermarket will be showcasing its latest and most innovative range of driveline and chassis technology for rail vehicles on stand D17. Visitors will be able to find out more about its latest range of rail sector products which are dedicated to reducing vehicle fuel consumption and enhancing performance and reliability, while maximising passenger comfort. In addition to this, it will highlight its aftermarket service offering which provides project management for bogie, wheelset and traction motor overhaul, as well as repair, service, and remanufacture of ZF and multi- brand transmissions. 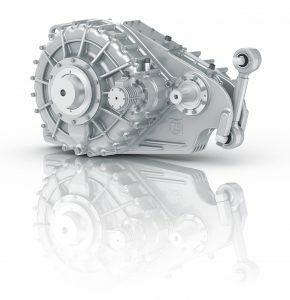 Products on display will include ZF’s EcoWorld six-speed transmission system, for diesel powered rail applications, and the Get2 Rail Drive Concept for electrically driven ones. Other products on show will include a multi-brand high-speed transmission, as well as suspension components. Visitors will be able to find out more about ZF’s gears and gearboxes, diesel engines for rail traction, bogies, axles, and wheelsets.